highlight job opportunities, career pathways, and internship possibilities. and click "Register" in the top right corner of the page. of the Santa Fe Community Foundation's Opportunity Santa Fe Birth to Career initiative are working collaboratively to promote the Tech & Media Corridor. 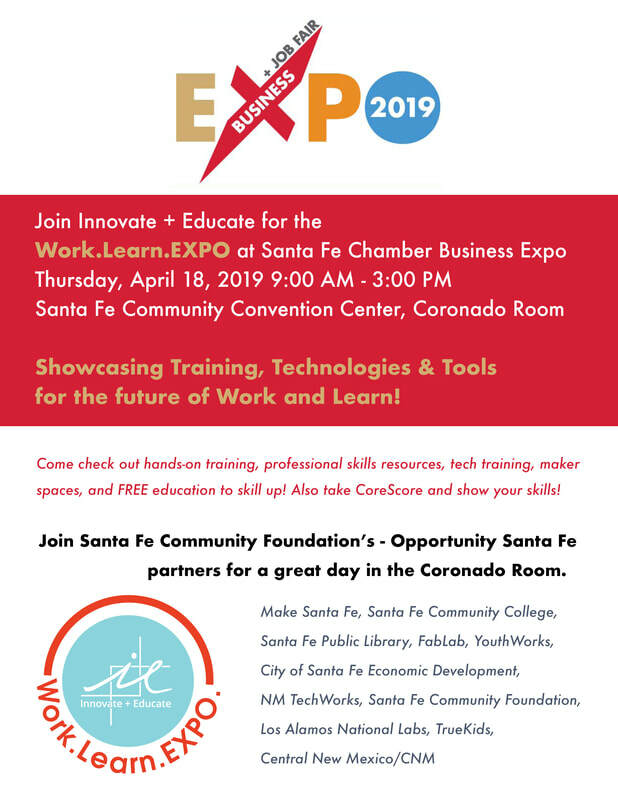 Sending out special thanks to the Santa Fe Chamber of Commerce and to our collaborating partners for their support and co-hosting of these special events including Opportunity Santa Fe, the VISTA Volunteers, ...plus all of the speakers and volunteers participating, including our Tech Task Force members.